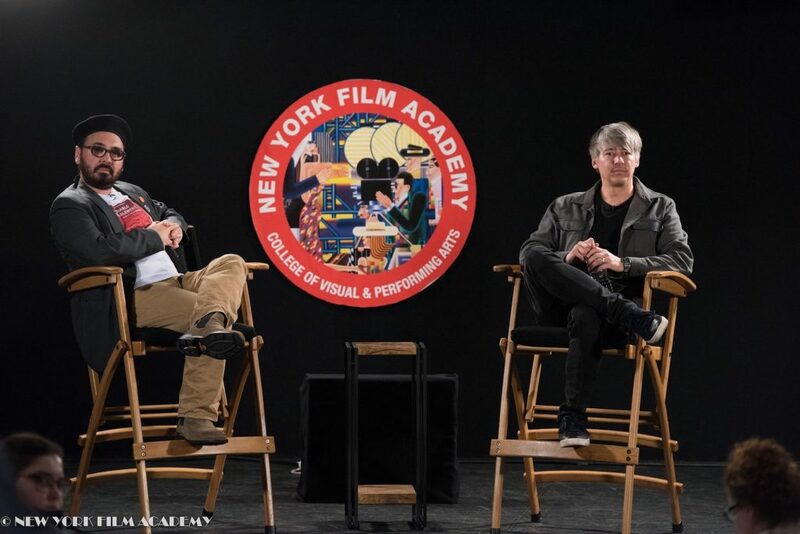 On Friday, March 1, the New York Film Academy hosted a screening of First Man (2018) followed by a Q&A with Academy Award-winning editor Tom Cross, moderated by NYFA Filmmaking instructor, Paul Yates. 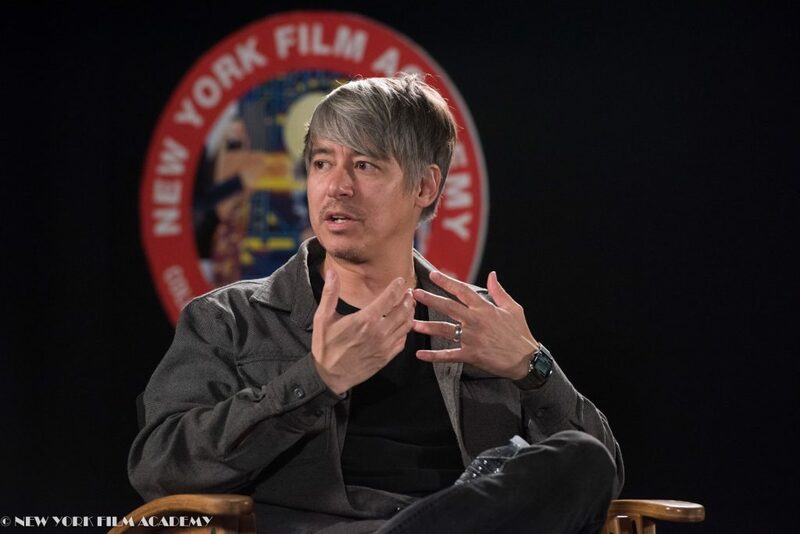 Cross began his editing career in 1997 as an assistant editor, contributing to a number of projects including We Own the Night (2007), Crazy Heart (2009), The Switch (2010) and the Emmy Award-winning drama series, Deadwood. He came to worldwide prominence in 2015 when he won the Independent Spirit Award, BAFTA Award, and Academy Award for Best Editing for his work on the critically acclaimed film, Whiplash (2014). Cross was also nominated for an Academy Award in 2016 for the film, La La Land. Yates opened up the Q&A by asking Cross about how he started. Cross shared that, when he was a kid, his father took him to the public library to see a screening of the 1953 French film, Le salaire de la peur (Wages of Fear); the film fascinated Cross; he noted that he was able to follow the story and the character arcs despite not knowing the language. 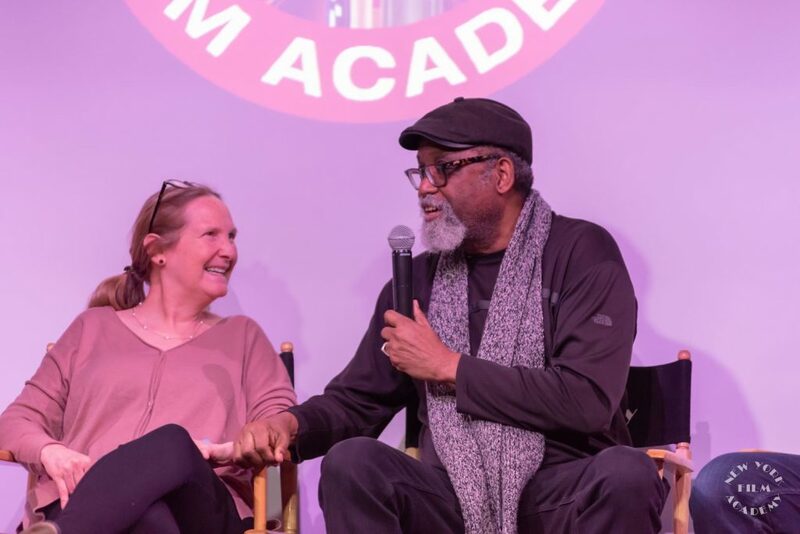 Cross said that, from that point on, he “loved going to the movie theater and escaping.” Once he was in high school, he was able to go to video stores and rent movies that were no longer in theaters and got the chance to expand his cinematic repertoire. 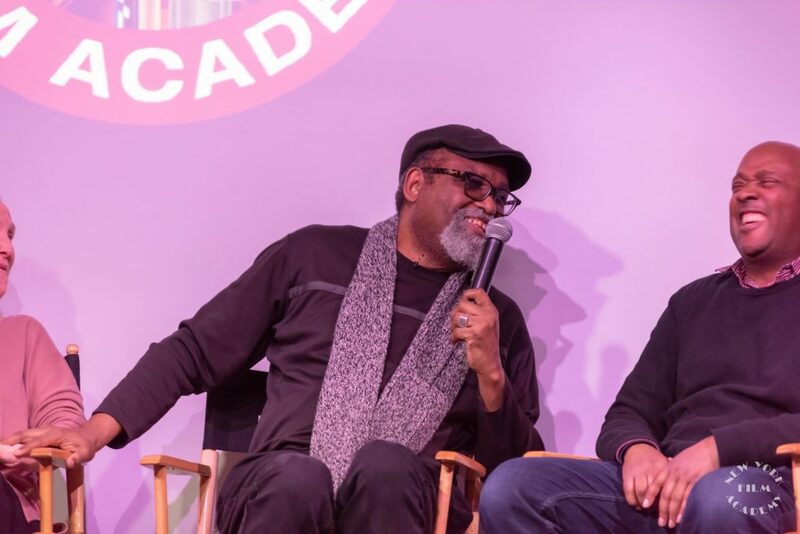 “That’s kind of what led me to want to try to make my own movies,” said Cross. 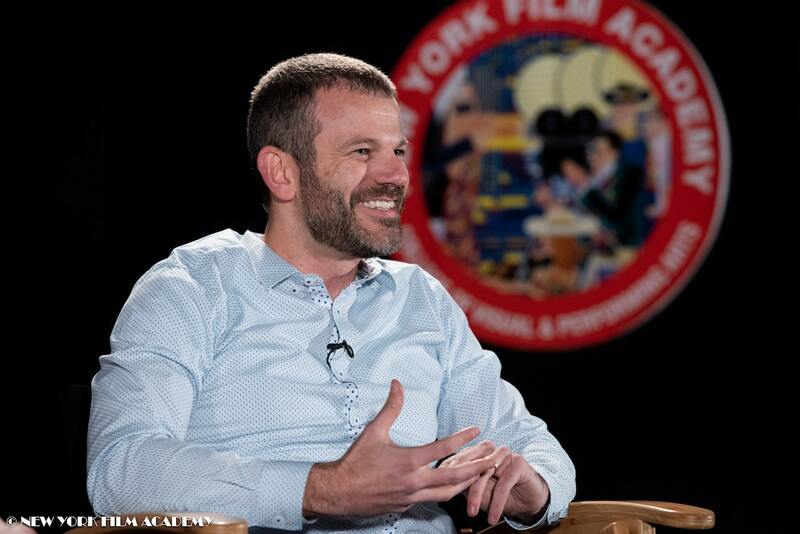 Yates steered the conversation to Cross’ editing process; he asked Cross what he does if he disagrees with a director’s editing idea. 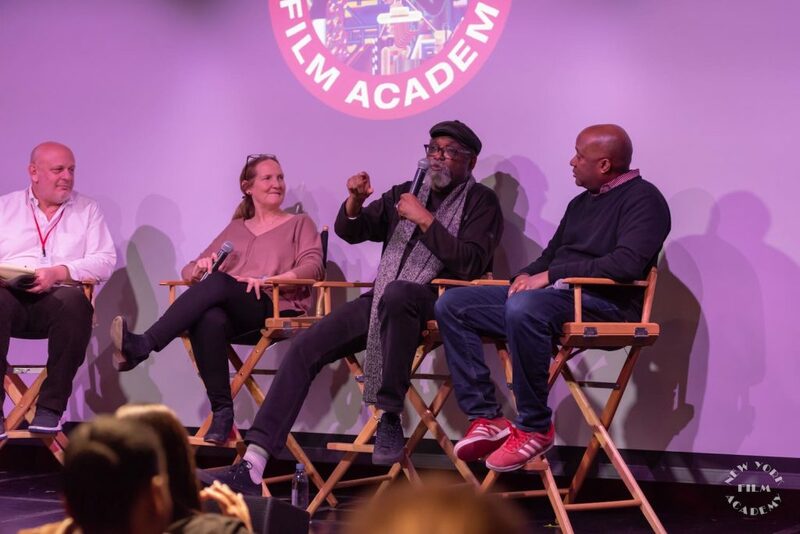 Cross shared that, in that instance, he waits for the director to see that an editing idea they suggested isn’t working rather than arguing against it in the moment, “I try to trust the process,” he said. One of the students in the audience asked how Cross approached editing First Man, a film about the first moon landing in 1969, because the audience knows going in that the protagonist is going to successfully land on the moon. 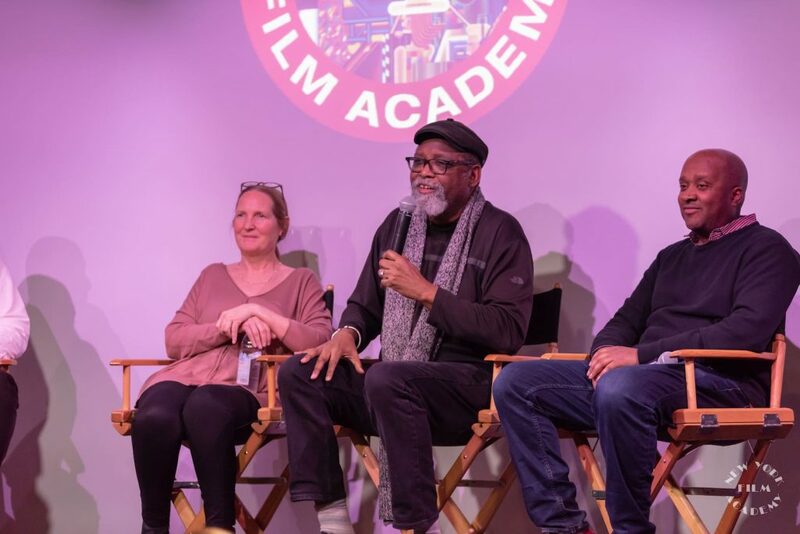 Cross shared that he and the director, Damien Chazelle, wanted to focus on what most people didn’t know so that it would still be a story with drama and character development; “It was about making it more personal and intimate,” said Cross. 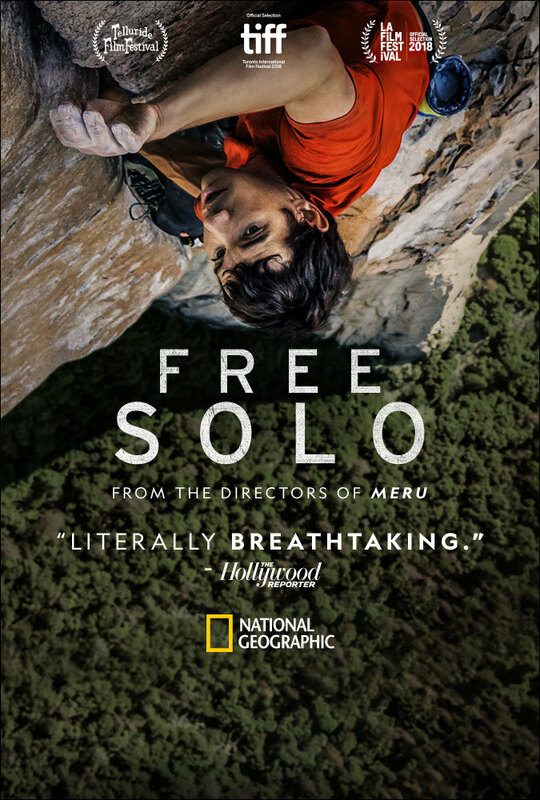 Another student asked Cross how he approaches editing different types of stories; Cross said that what’s most important is the characters because the audience connects with them and follows their journeys. Cross said that, in Whiplash, he sought to highlight the relationship between the protagonist and his music teacher by finding the right close-ups of each actor to create a sense of tension. 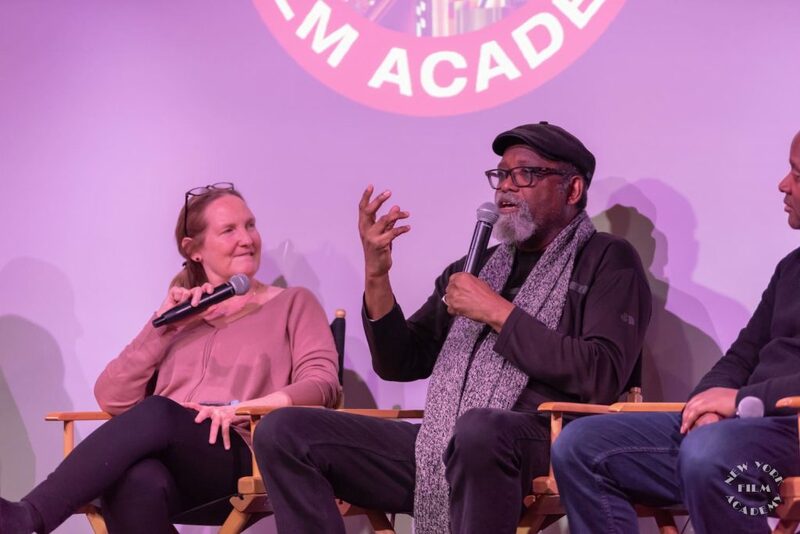 The New York Film Academy would like to thank Academy Award-winner Tom Cross for sharing his industry experience and editing techniques with our students! On February 20, New York Film Academy (NYFA) welcomed Steven Rudin, a psychiatrist turned visual collage artist, for a special guest lecture and Q&A at NYFA’s New York campus as part of NYFA’s monthly photography guest speaker series. Having led more than 24,000 psychotherapy sessions over the course of 20 years as a psychiatrist, Rudin now creates hand-cut paper collages that explore nostalgia and optimism, using the concept of perspective to create a unique participant-observer experience through art. He applies his extensive understanding of the human mind and mental health to his artwork, creating collages that require introspection and offer a look inside one’s struggles and triumphs. Led entirely by Rudin, the special lecture entitled “Psychology of Collage” explored the aesthetics of memory and identity for which his collages are a metaphor. 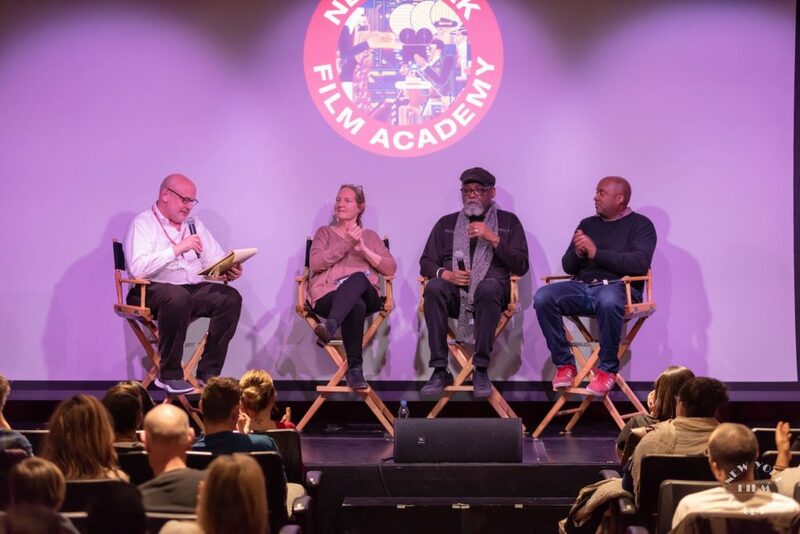 Rudin encouraged students to reflect on the ways in which stories emerge and are altered by the arrangement of our memories, similar to the way that films navigate through past, present, and future narratives. 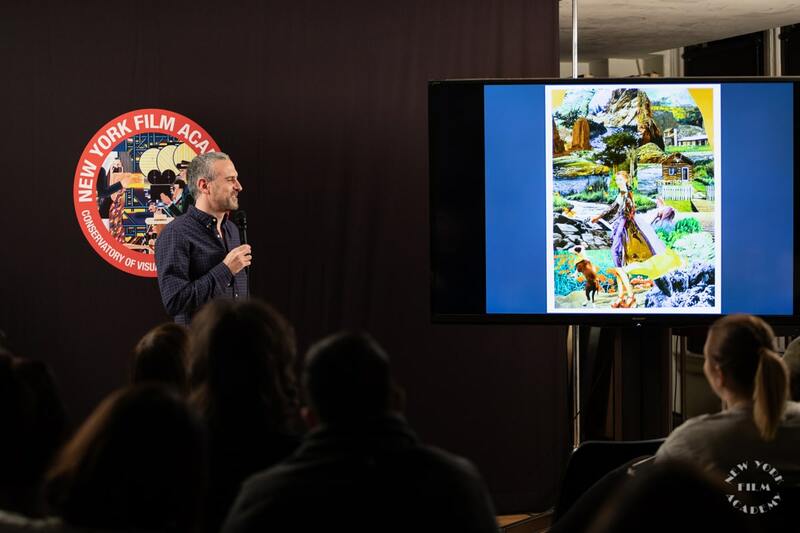 Rudin also inspired students to appreciate the way that new experiences and emotions can change perspectives on the past, drawing a comparison between the scenes his collages represent and those that are edited in the filmmaking process. Students also considered how the media affects both the accessibility of information and memory overall. 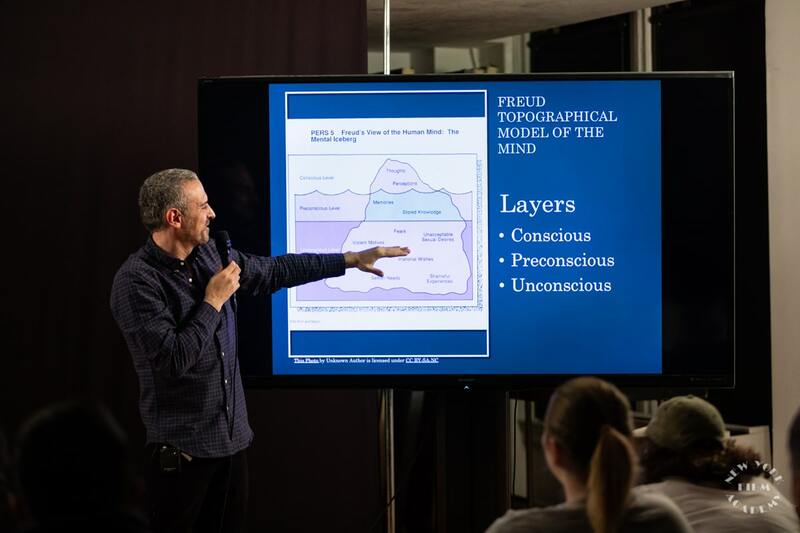 Through the exploration of psychological theories, neurobiology, and cognitive behavioral therapy—of which he is an expert—Rudin opened students’ minds to the direct relationship between psychology and creating art, whether that be visual collages, photography or filmmaking. 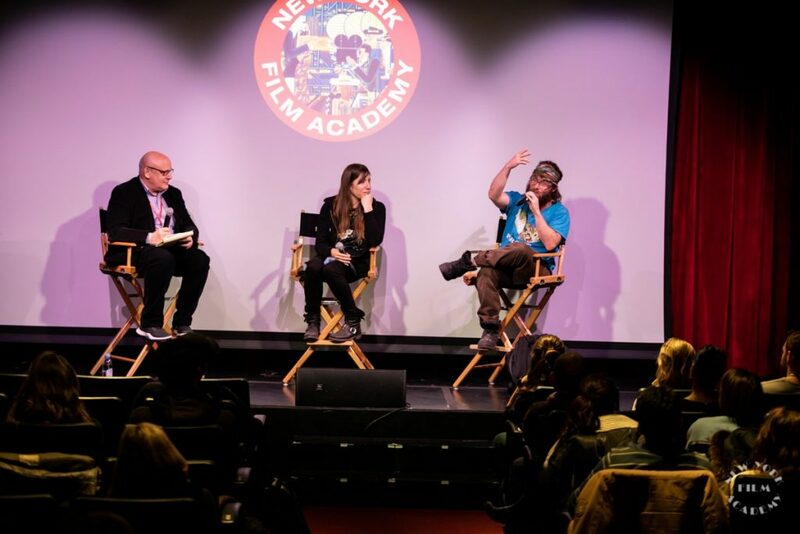 The New York Film Academy thanks Steve Rudin for sharing his experiences and offering his unique insight into the psychological processes behind perception and creativity, and wishes him the best as he continues to explore the relationship between psychology and art, bridging the gap between these worlds and encouraging others to do the same. 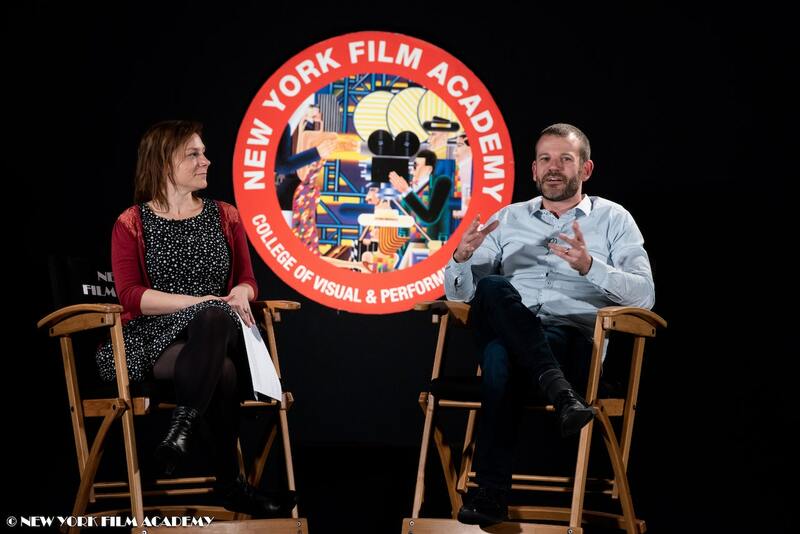 On Monday, February 11, New York Film Academy Australia (NYFAA) was delighted to welcome AFI Award-winning actor Simon Lyndon, and prominent Australian casting director Cinzia Coassin to our Australian campus. Simon gathered acclaim as Jimmy Loughlin in iconic Australian film Chopper with Eric Bana, for which he won an AFI award for Best Supporting Actor and a Film Critics Circle of Australia Award for best supporting actor. 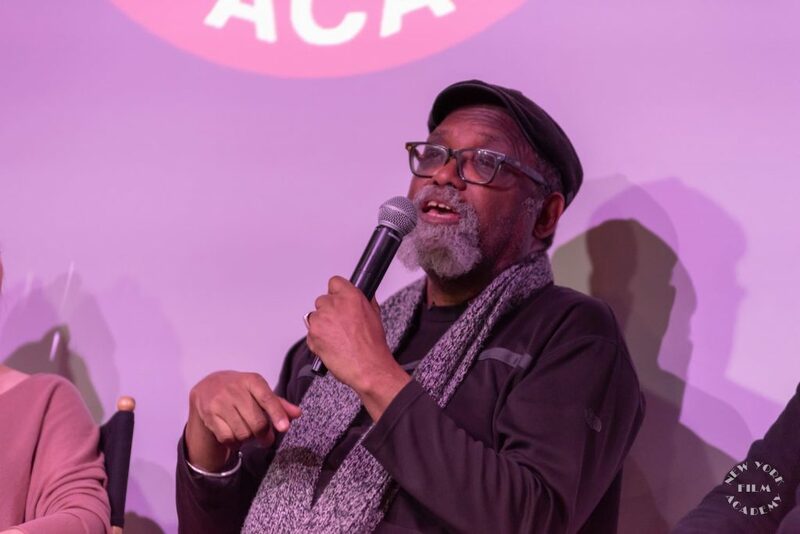 He also received AFI nominations for Best Supporting Actor for Blackrock (as Ricko) and Best Actor in a telefeature or mini-series for his role in My Brother Jack. Fresh Air, Sample People, The Thin Red Line, From the Outside Caught Inside, Falling into Paradise, The Glenmore Job, The Well Dust off the Wings, Beaconsfield, a younger Jack Thompson in Paper Giants – The Birth of Cleo Magazine, Larry Knight, Spirited on Foxtel with Claudia Karvan, playing The King, Puberty Blues as a surfing teacher Gumby, Police Rescue, Heartbreak High, Wildside, Underbelly Canal Road and FOX network show Roar together with fellow Australian and Blackrock co-star Heath Ledger. 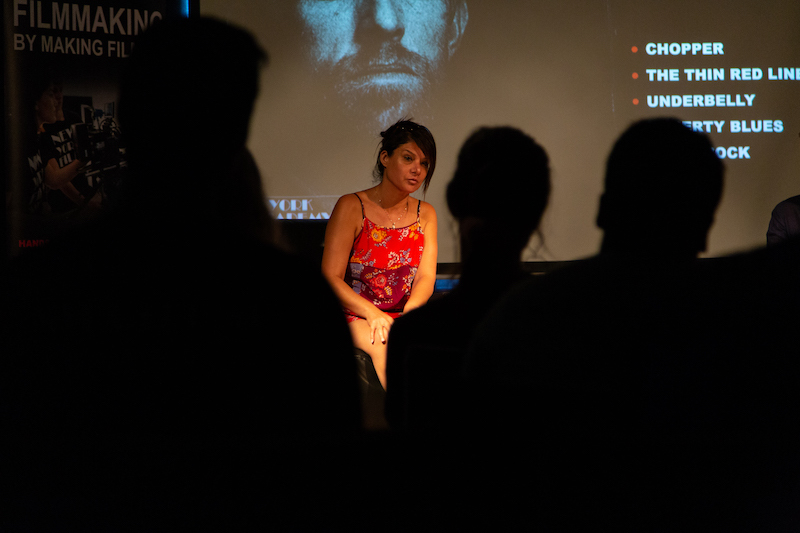 Cinzia is currently Casting Director on Australian feature films Unsound, a feature film supporting disability and diversity, sci-fi film Occupation, and Darkman. 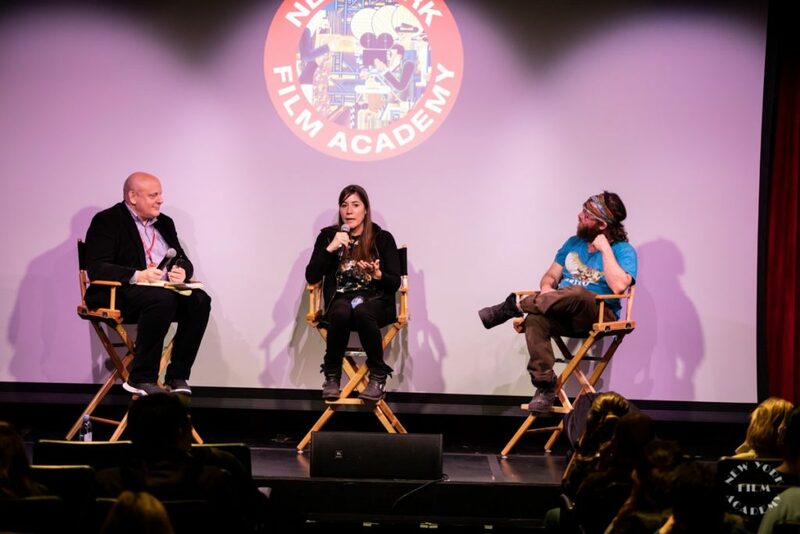 A seasoned Casting Associate and industry professional, Cinzia has been involved in the casting process for The Moon and the Sun, The Dressmaker, and Camp for the NBC Network, along with CBS pilot season 2014, The Code and Hiding for the ABC Network. She was also involved with the Australian search for the hit HBO series Game of Thrones, Hercules, The Shannara Chronicles,The Badlands and BIG VALLEY -The BFG. 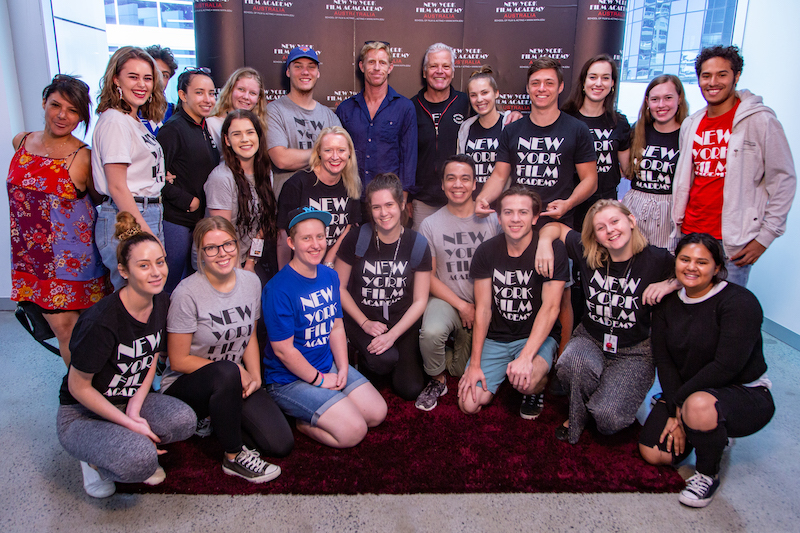 Additional casting project involvement includes The Strip and Blood Brothers for the 9 Network Australia, Spartacus, Legend of the Seeker, and K9 (children series), 33 Postcards, The King is Dead, Satellite Boy and 4 seasons of ABC US pilot season. 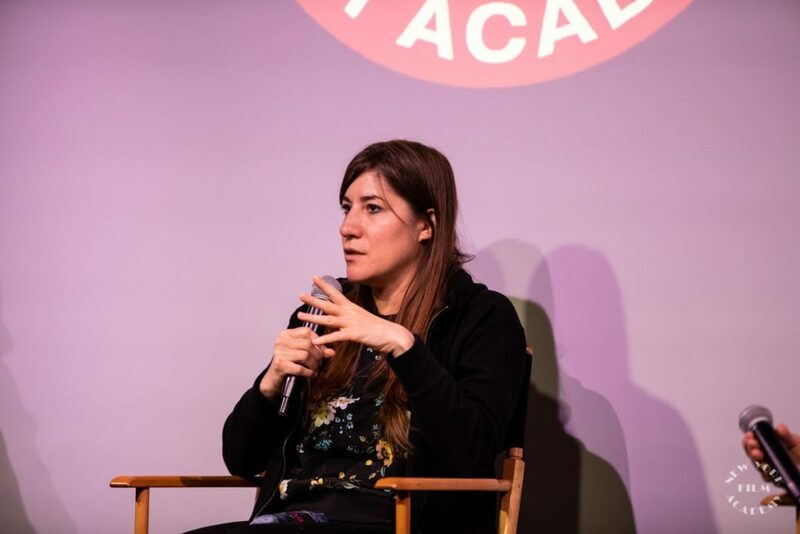 A creator of work, Cinzia is creative producer and collaborator on Holy Moselle, a feature film written by Michelle Coassin and has produced a short film festival – Ten to One – giving platform to writers/producers/directors to showcase their stories/films. 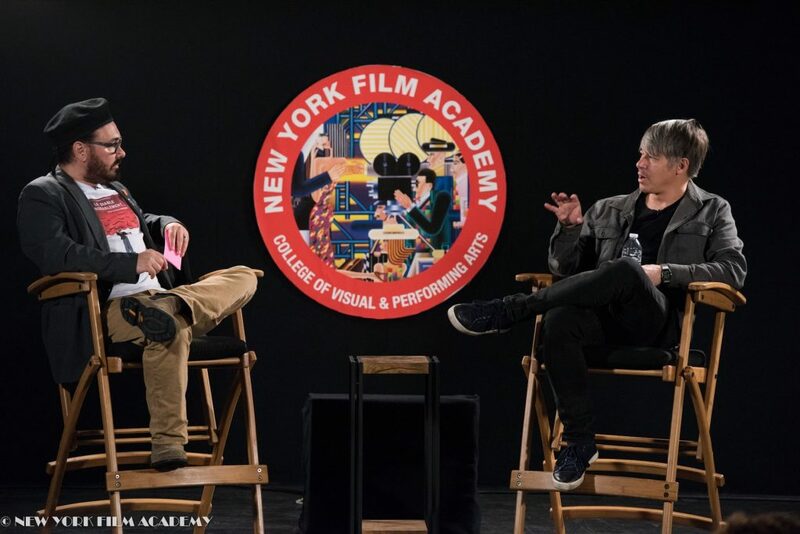 NYFA students were curious about Simon’s experience on Chopper, and Simon shared personal anecdotes; his experience of sleeping in a cell where a stabbing took place, and stories of Chopper showing off his shooting skills by having a friend hold a target. 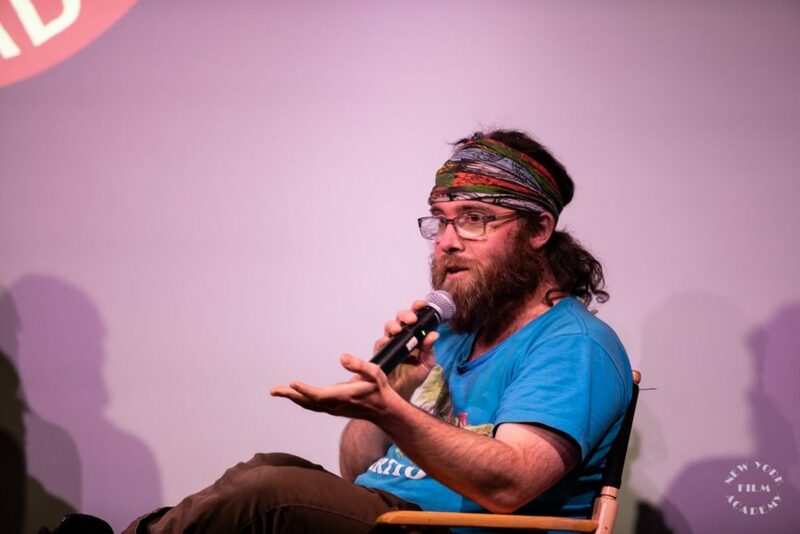 He was generous in sharing his thoughts on acting techniques – method and physical techniques. 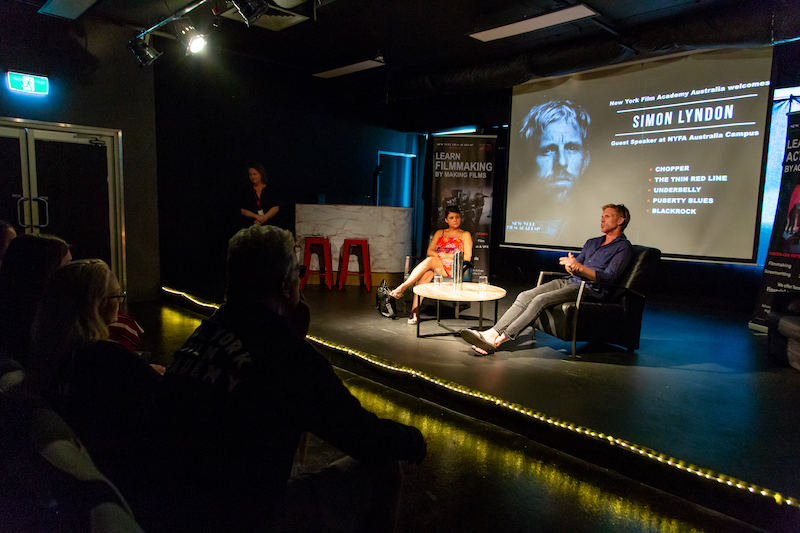 Students were treated to a viewing of Simon’s impressive showreel before Simon and Cinzia took questions from our acting students. 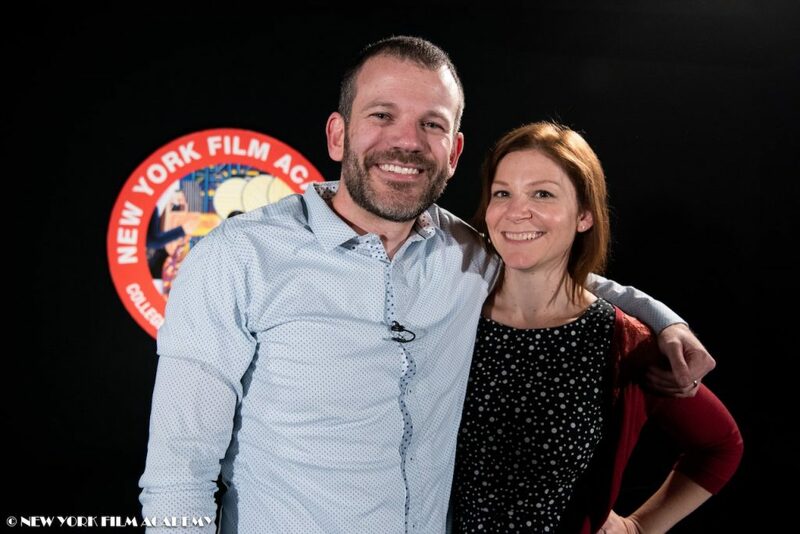 Of particular interest was Cinzia and Simon’s initiatives in creating work: Simon in theatre and Cinzia in producing a short film festival. 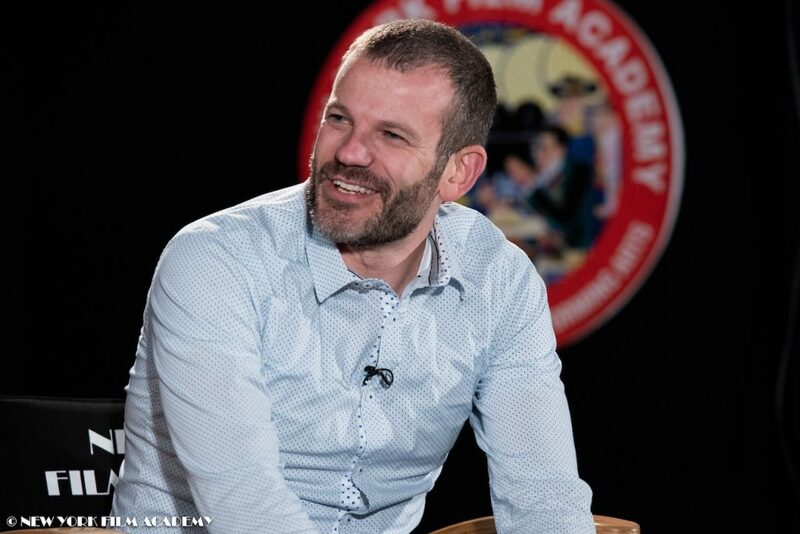 In answer to student questions – what to do after graduating, Simon encouraged students to “make your own work! 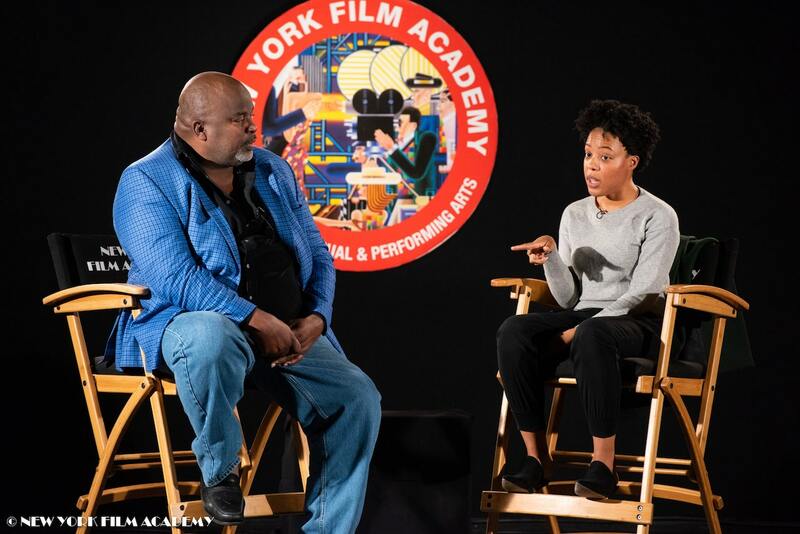 If you’re not getting cast, make a short film and cast yourself!”. 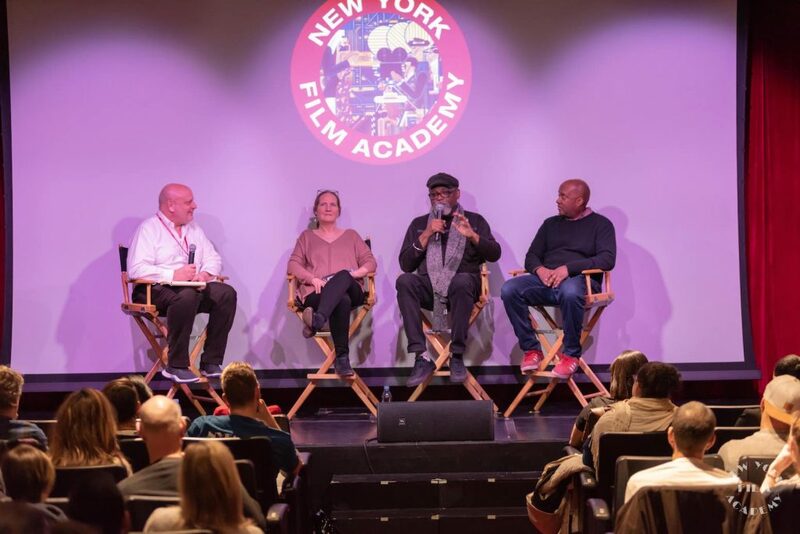 As Chair of Acting NYFAA, it is wonderful to see our ethos of Learning by Doing, so enthusiastically endorsed by our industry leaders. We all expressed our gratitude and appreciation to Simon and Cinzia, before taking advantage of photo opportunities. Some students were even treated to a moment of individual consultation. Thank you Simon and Cinzia, we hope to welcome you back again soon! 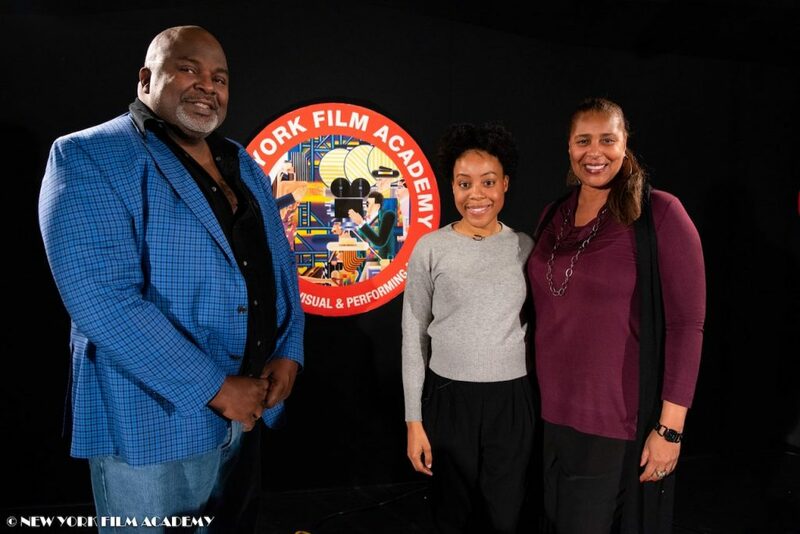 On Wednesday, February 13, as part of celebrating Black History Month, New York Film Academy (NYFA) and the NYFA African Black American Film Society hosted a screening of two episodes of Netflix’s Dear White People, followed by a Q&A with writer and producer Chuck Hayward. 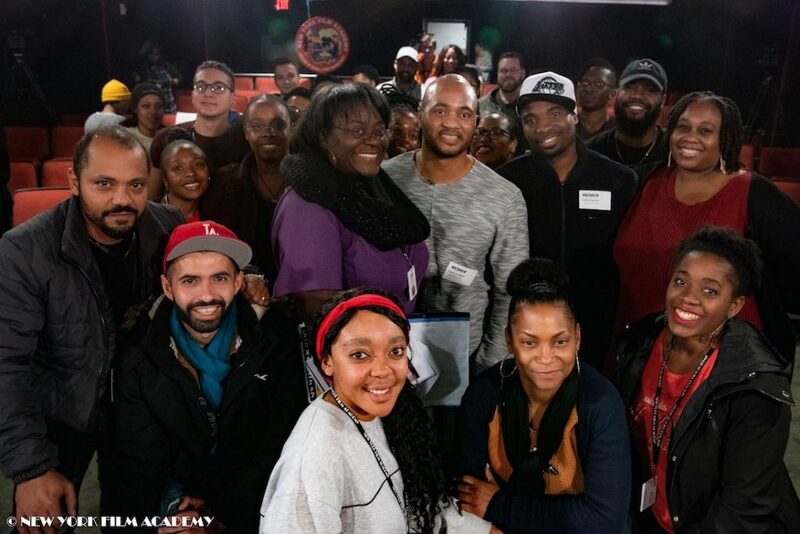 One of the episodes was directed by Academy award nominee Barry Jenkins (Moonlight, If Beale Street Could Talk), which was a real treat for the filmmaking students. 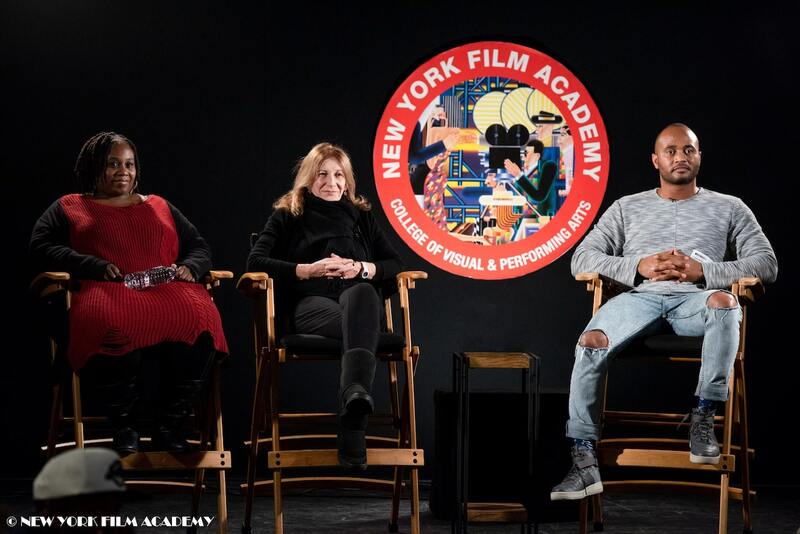 It was moderated by NYFA Director of the Q&A Series, Tova Laiter, and co-moderated by NYFA directing student, Nicole “Soul” Creary. Hayward landed his first staff writing gig on the NBC series Bent. 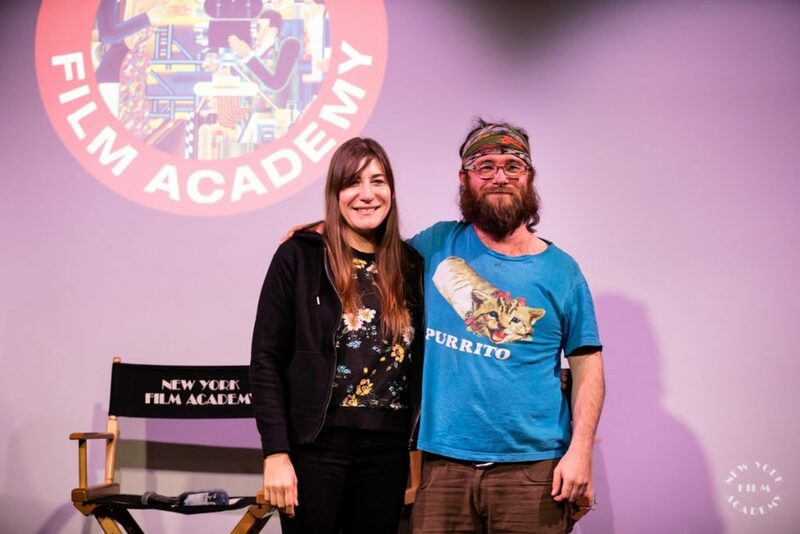 His feature film script, Potluck, won the WGA’s 2012 Feature Access Project. He then sold an untitled baseball project to Nickelodeon, after which he wrote for the Nick at Nite sitcom Wendell & Vinnie. In 2014, Hayward became a staff writer on the new NBC series One Big Happy, followed by Fox series Cooper Barrett’s Guide To Surviving Life. 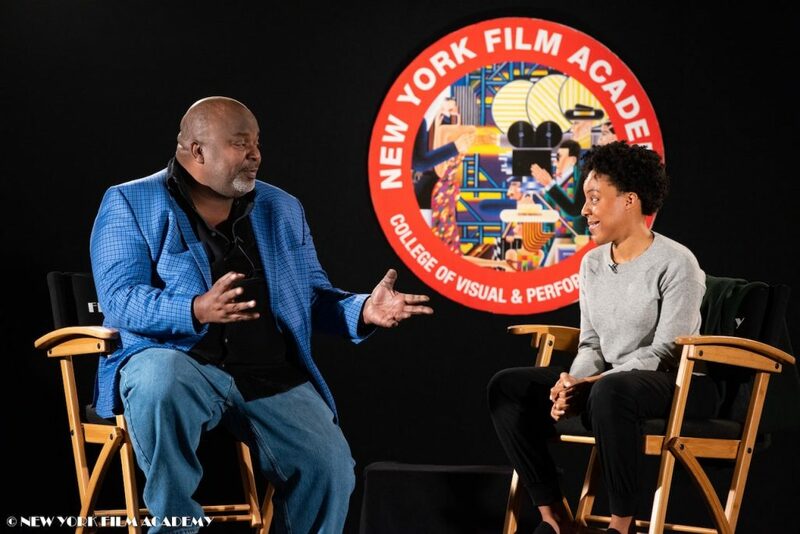 In 2016, he had two movies produced—Fat Camp and Step Sisters—and sold the Untitled Urban Pitch Perfect Project to The Firm and PepsiCo. 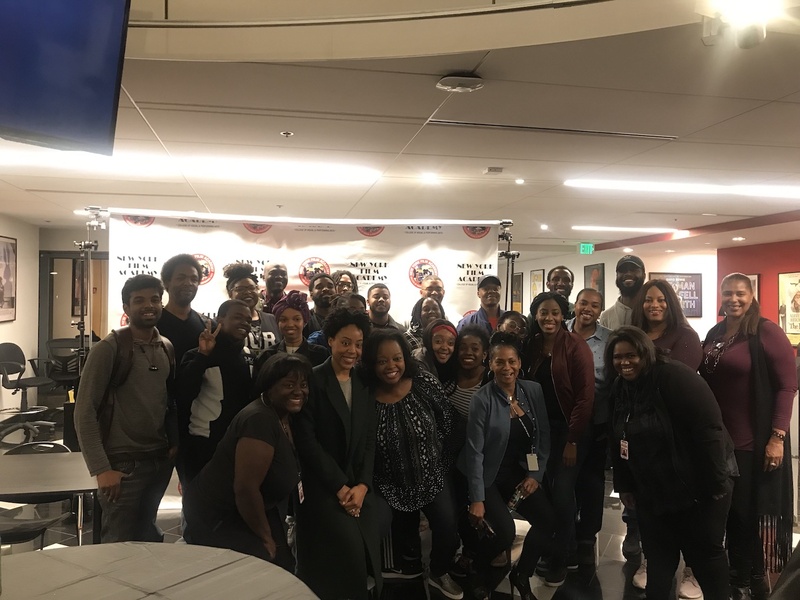 Hayward is currently a writer and co-producer on the Netflix series, Dear White People, and a producer on Marvel’s upcoming untitled Scarlet Witch and Vision series. 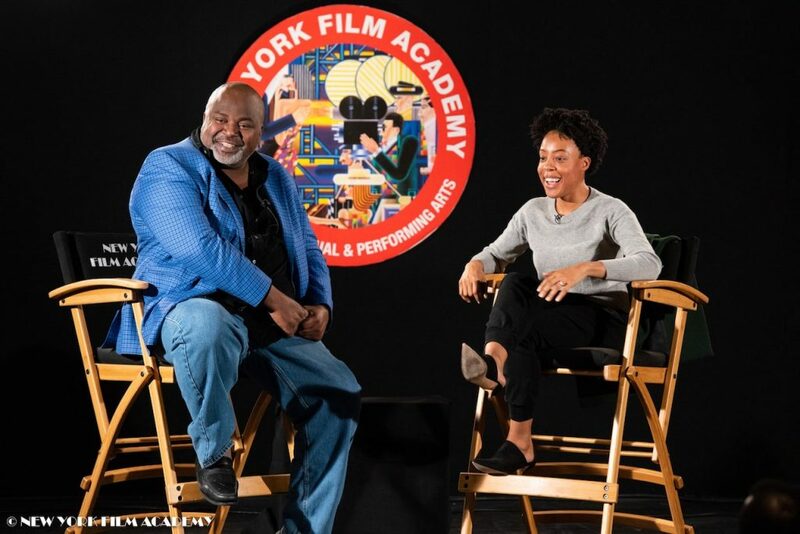 The New York Film Academy would like to thank writer and producer Chuck Hayward for sharing his entertainment industry and writing advice with our students! 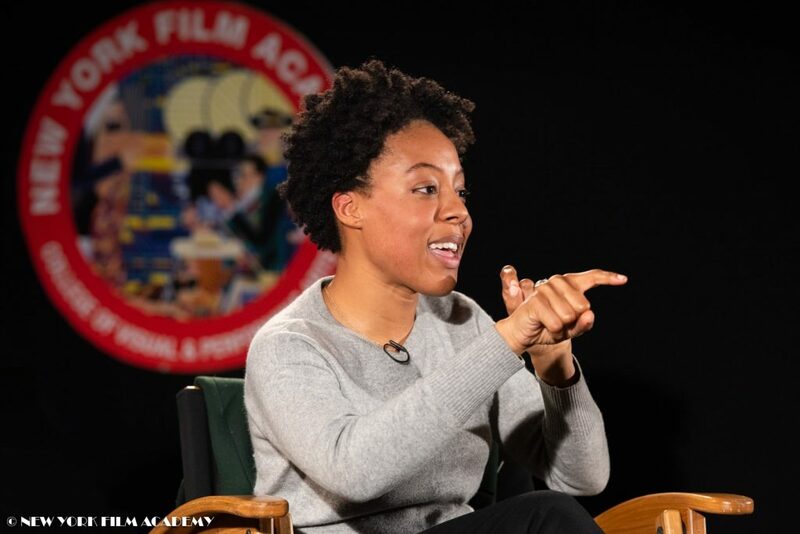 On Monday, February 11, the Producing Department Industry Speaker Series welcomed producer Mollye Asher to the New York Film Academy (NYFA) for a “Conversation with” and Q&A session following a screening of Chloé Zhou’s The Rider. 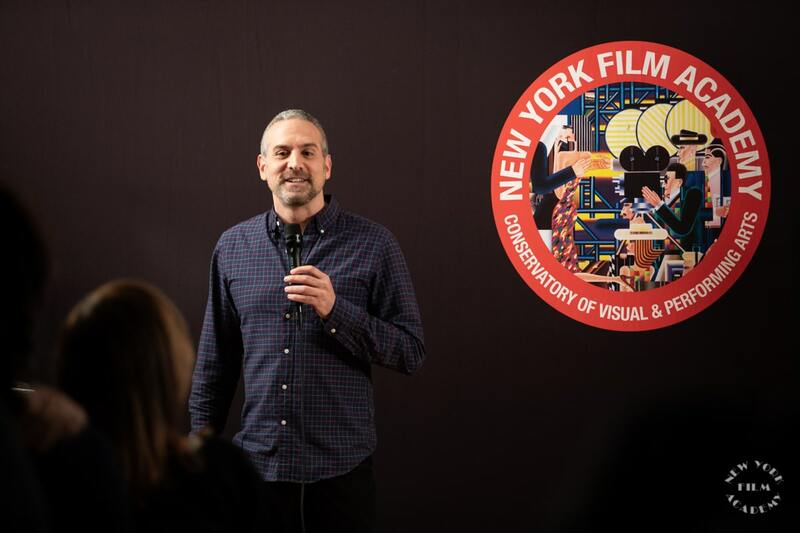 Also participating in the session was sound recordist on the film, Mike Wolf Snyder. This is the second Chloé Zhou film produced by Mollye Asher. The Rider was shot over five weeks, with non-actors playing roles very much based on themselves. 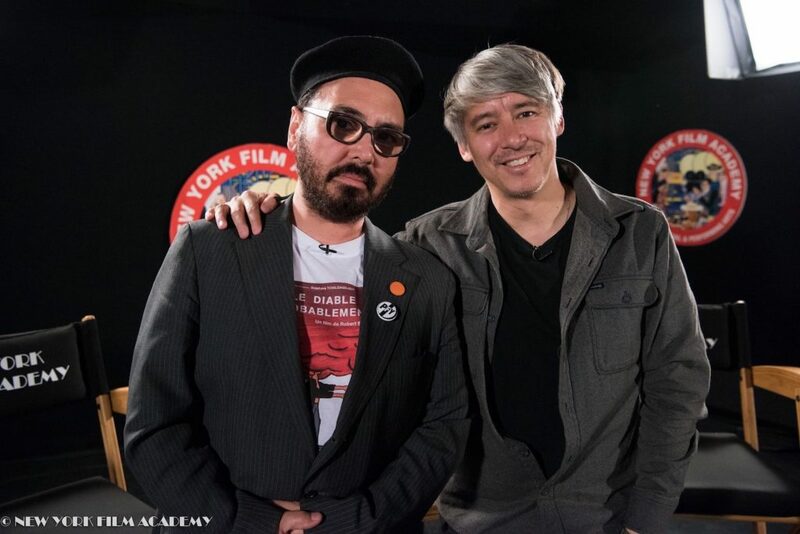 Writer-director Zhou spent close to two years researching the story and developing the film before the shoot. The story follows a young rodeo star recovering from a serious head injury suffered when thrown by a horse in the midst of the rodeo. A good amount of the time Zhou spent researching the story was an investment in gaining the trust of the non-actor cast. The film was made mostly by a six-to-eight person crew, who also needed to gain the trust of the cast. Snyder, the sound recordist, does not like to use wireless, lavaliere microphones that can be hidden underneath an actor’s shirt. He uses a boom microphone for every shot. However, he says, he was very sensitive to not wanting to come off as intrusive towards the actors. The Rider premiered at the Directors Fortnight at the Cannes Film Festival, where it was acquired for North American distribution by Sony Classics. 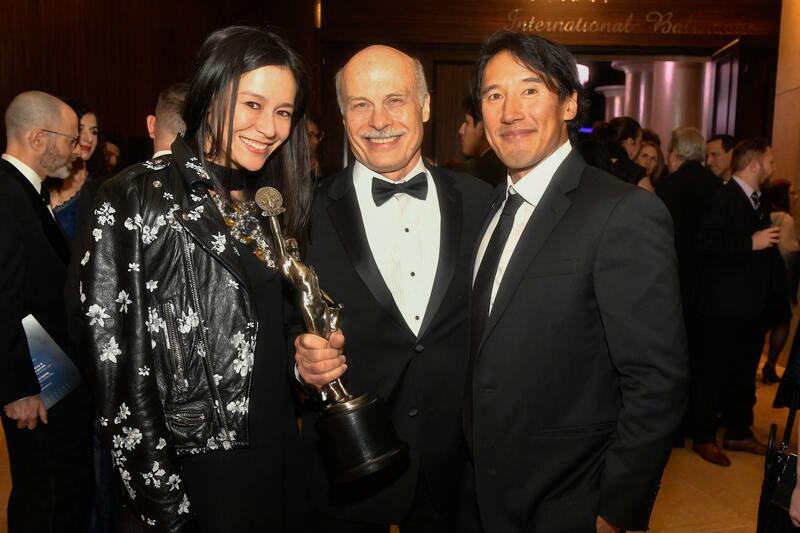 At Cannes, Zhou also won the C.I.C.A.E. Award. 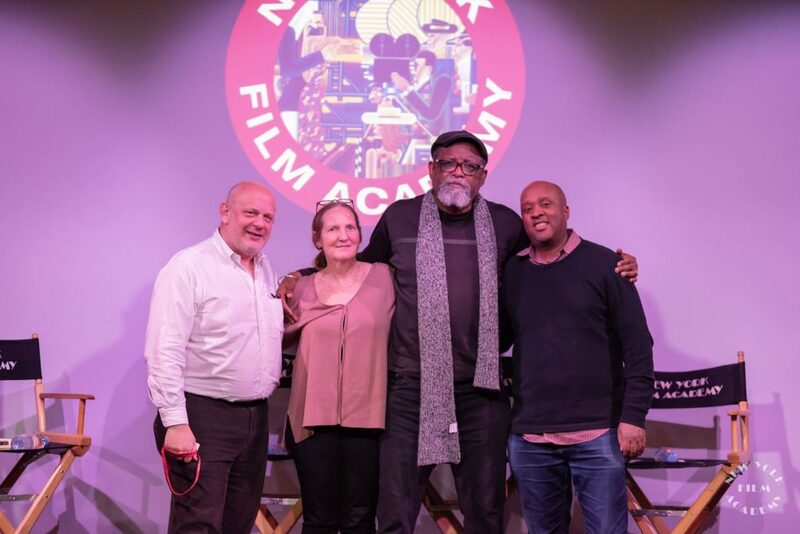 The film has won numerous other awards, including Best Feature from the National Society of Film Critics Award, Best Picture at the Athens International Film Festival, and Best Feature at the Gotham Awards. 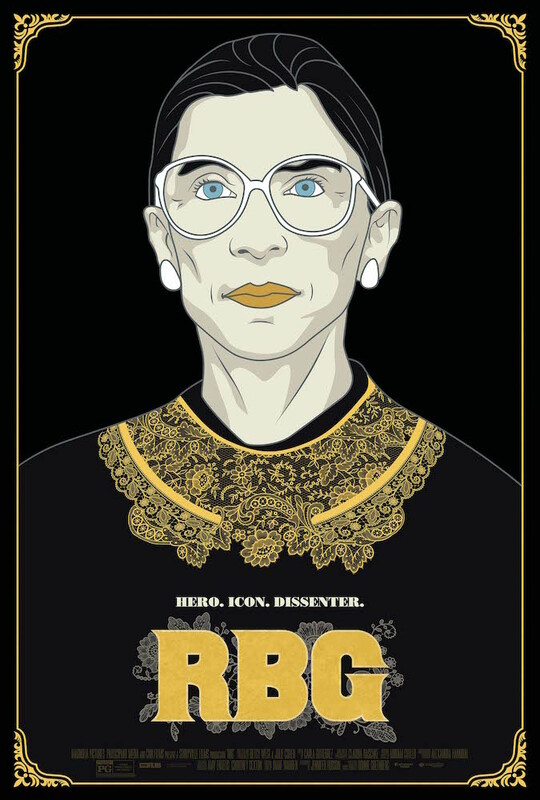 It was also named one of the National Board of Review’s Top Ten Independent Films of 2018, and received multiple nominations at the Independent Spirit Awards, including Best Feature and Best Director. The team recently wrapped production on a 50-day shoot on a “below the radar” project to be announced very soon. 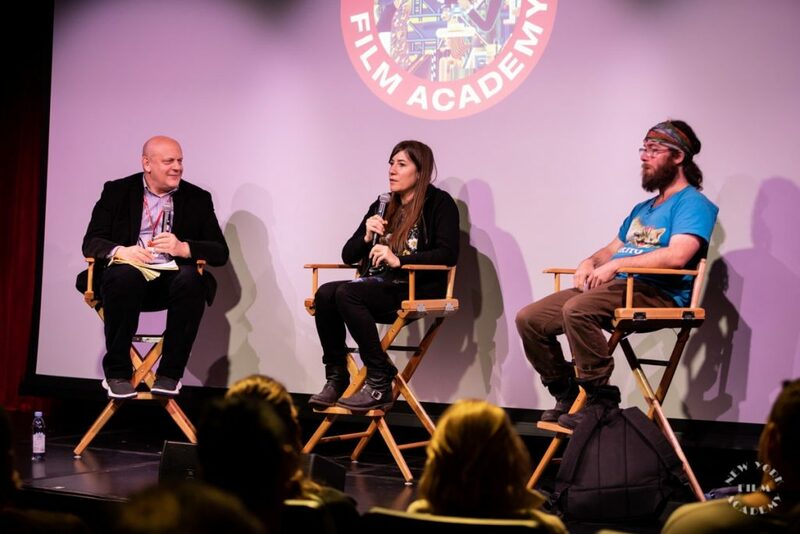 The New York Film Academy thanks producer Mollye Asher and sound recordist Mike Wolf Snyder for sitting down with students as part of the Producing Department Industry Speaker Series!